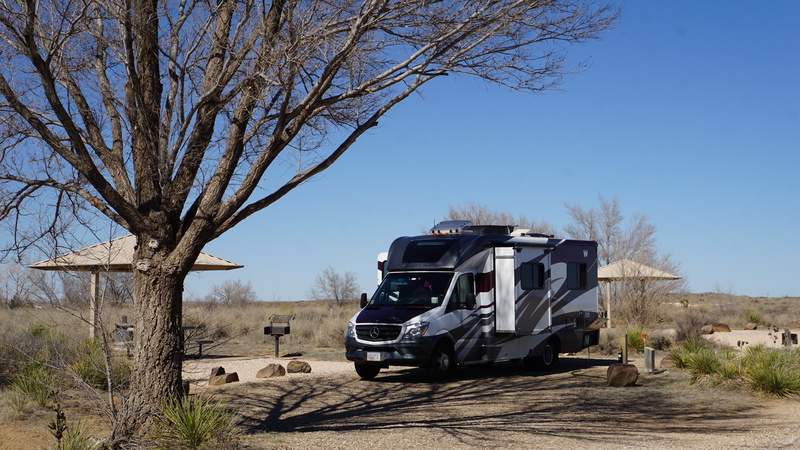 We stayed at Rio Grande Village campground in Big Bend National Park for 4 days on March. We had a site in the generator section. There's no hook ups in this campground but water spigots are nearby. The sites are fairly level and well spaced. The bath house is rustic. Showers are up at the Rio Grande Village store, which is about 1/3 mile away and are for a small fee. The camp host was very active and helpful. The spring is a busy period at Big Bend and we made reservations 6 mos in advance. There's lots to explore here. There's Boquillas Canyon just a short drive away. There's a scenic overlook trail from the campground. There's also the Border Crossing nearby. I would stay here again when visiting Big Bend. Fuel is available at Rio Grande Village and at Panther Junction. 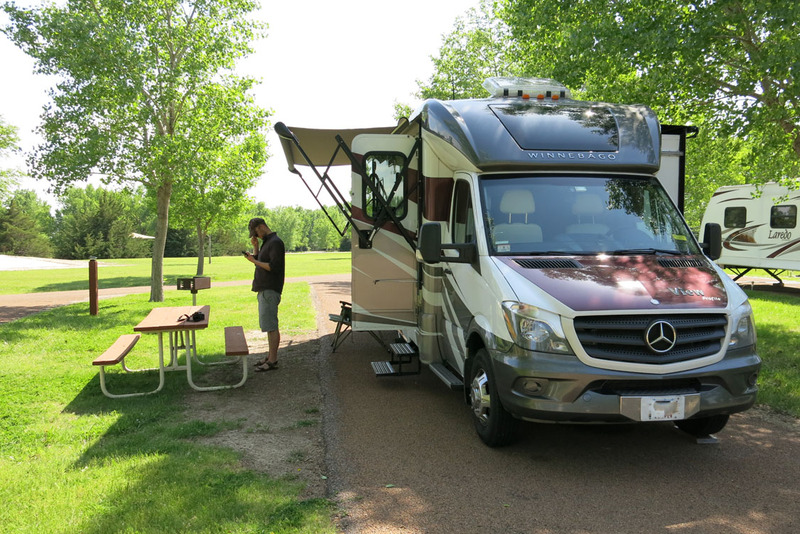 We stayed in a 26 ft motorhome. We stayed here for four days while on a cross country trip. The state park has three camping sections. We stayed in the Mesquite Camping area which is the most remote, most rustic, but has the best views. The sites have electric and water. The sites are paved and fairly level. Bath houses are basic and well maintained. There are 3 dump stations in the park. There is a store and cafe in the park. The park is huge and in the bottom of the canyon. This is an exceptionally beautiful area and camp setting. Its very quiet and there's no cell or TV signals. It can be windy and dusty in the canyon. The sites are $24 per night but there is a $5 per person per day entrance fee. We stayed here while visiting the area. Its near the highway and there is some highway noise. The sites are gravel and level with full hook-ups. Its pretty basic and there are some seasonal people staying in the park. The lady who owns the park is exceptionally friendly and accommodating. The bath house and laundry are one of the best I've ever seen. They're kept super clean and decorated with antiques. The owner has quiet a flare for decorating. The park is convenient for visiting historic Breaux Bridge or exploring the Cajun prairie. I would stay here again. I have stayed here twice during winter stop overs. 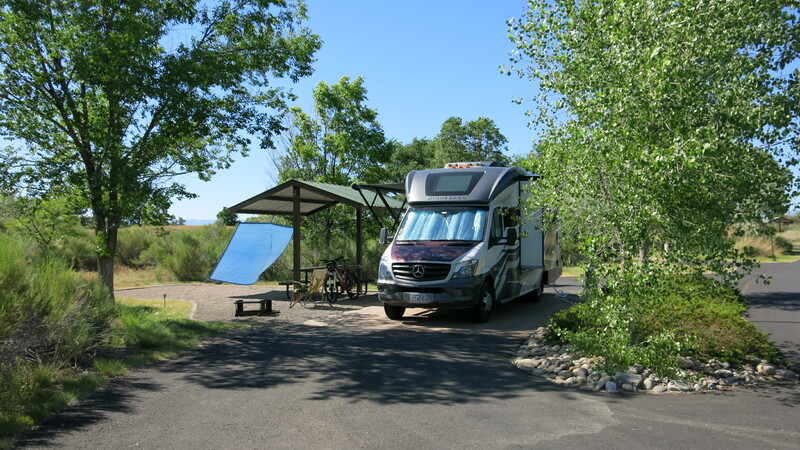 This is a very nice RV park and well maintained. It caters to snowbirds. The park is on the inlet and facing Santa Rosa Island. The sites are level and all have concrete pads. Each site has full hook-ups, cable TV, and wifi. There's good spacing between sites. The park has a pool, small store, and laundry facilities. Bath house are kept exceptionally clean. There is a small beach. The road outside the park is very busy. There is a grocery and restaurants nearby. Its an easy drive or bike ride over the bridge to Navarre Beach on Santa Rosa Island. I've spent part of the last two winters here at San Carlos RV Park. Its a very convenient spot to be near Fort Myers Beach. The beach is about 1 mile away. The park has full hookups, free wifi, laundry, pool, rec hall, activities, mail delivery, but no cable TV. On air TV does pull in a few stations. The sites are close together and they cater to snowbirds with many staying for the winter months. 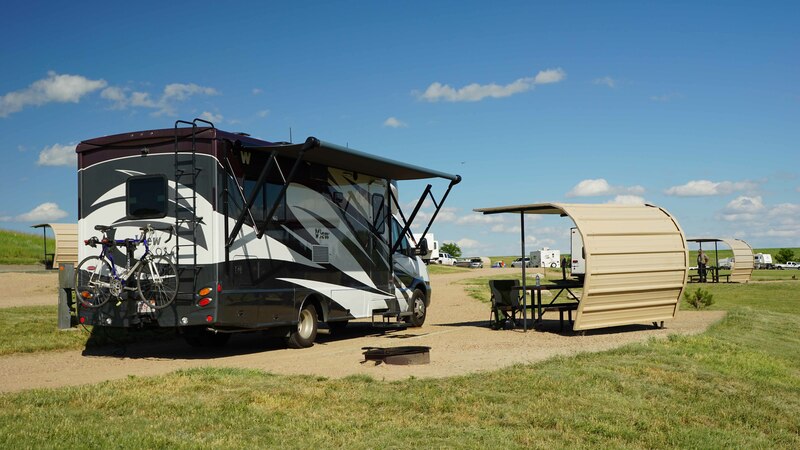 Each site has a concrete pad for a patio, but the RV is parked on grass. The people are very friendly and accommodating. Activities are held during the winter months. Th bath houses are kept very clean. This is a great location. There's a couple restaurants and retail stores within walking distance. There's a trolly stop right across the street that runs to the beach and to shopping away from the beach. They offer discount rates for multi-month stays. I paid the daily rate for my stay. I stayed here for a night while visiting Ocean City Maryland. Its the closest campground to Ocean City (about 4 miles away). This is a very upscale and nice RV park. The facilities are superb - full hookups, free wifi (that worked), cable TV, laundry, pool, beach, cafe, store, and tiki bar. The restrooms were spotless and there's multiple bath houses through out the park. They also run a shuttle to Ocean City. And the staff are super friendly. Sites were level and well spaced. They have different sections and classes of sites. We stayed in a less expensive site just back from the water front sites, but still had a water view. Its a little pricey but I would stay here again. We stayed here over Columbus Day weekend and camped in the H Loop, which has electrical hook-ups. The sites all have paved pads and sites are level. Bath houses need some updating. Only two showers in each bath house. Only one water spigot per loop. Its best to top off your water tank before you park your RV. There's one dump station for the entire campground. Its is a 5 star location and I would give it 4 stars if it had more water spigots. Great location right near the beach. Wild horses frequented the campground. You need to keep any food items locked up.